Who says you can’t be eco-friendly and festive? 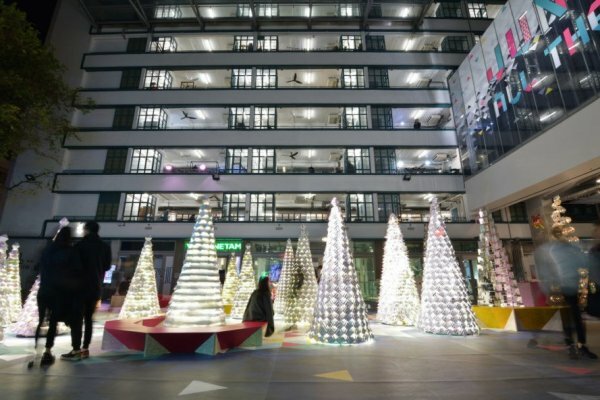 Thanks to AaaM Architects, folks in Hong Kong, China, are doing both this Christmas. 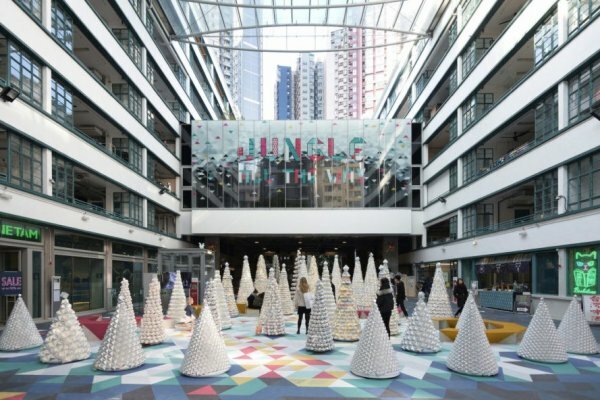 To raise awareness about the environment and promote recycling, the local studio transformed 16,000 recycled drink cartons into a Christmas tree nursery. 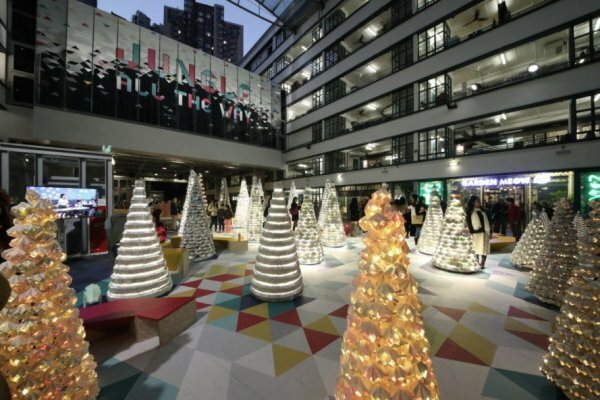 The ‘Jungle All the Way’ features 36 festive trees made with the help of over 1,600 primary school students. To ensure the exhibition is easily accessible to all, it is located in the courtyard of a revitalized heritage building. The same primary students who volunteered to help with the project were responsible for recycling 16,000 drink carton. The task took a few years, but they succeeded! 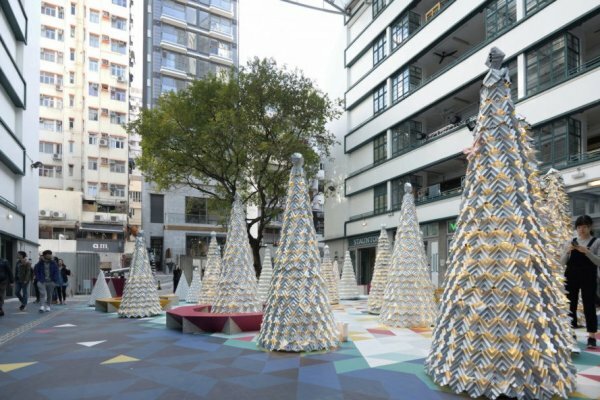 After the cartons were accumulated, architects with the firm flattened and refolded the recyclable goods. 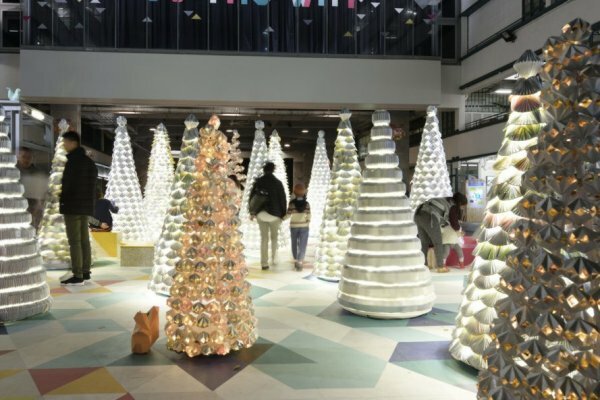 They then combined the cartons with plastic and aluminum to create three-dimensional Christmas trees. 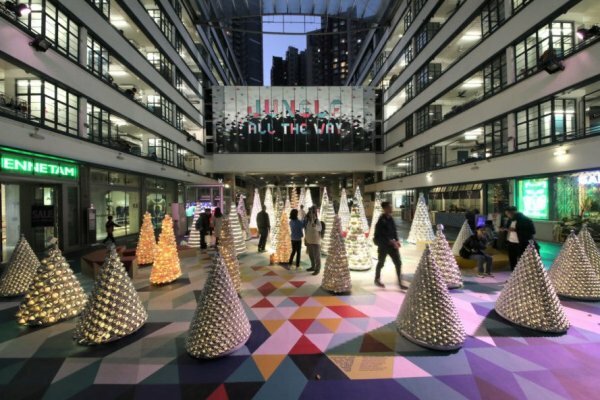 Because architects specialize in design, they laid the 36 trees out into the shape of a giant Christmas tree which is visible from above. Visitors who dared trek an experiential path could see the glorious sight, which was punctuated by key messages, benches, and engagement areas for the public. 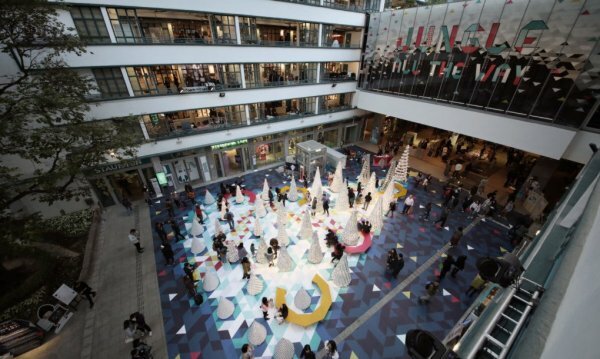 After the exhibition ends, all materials will go back into the recycling process. As a result, there is minimal waste from the project. What are your thoughts? Please comment below and share this news!
? World’s First Sneakers Made With Graphene Are 50% More Resistant To Wear Good Samaritans Give Away 1,500 Trees, Set Up Dozens for the Homeless ?